So I'm getting ready to purchase a new set of wheels for my 1970 510 four door. Car is currently driven on the street but I'd like to do some auto-x in the future. I'm running stock 510 struts now but I'd like to upgrade to 280zx coilovers in the near future. The two wheels I'm looking at are a pair of 15x6.5 +15 watanabe's and a pair of 15x7 0 offset Koning Rewinds. I know some people run spacers and there are mixed opinions on that so I'm looking for guidance on this issue. 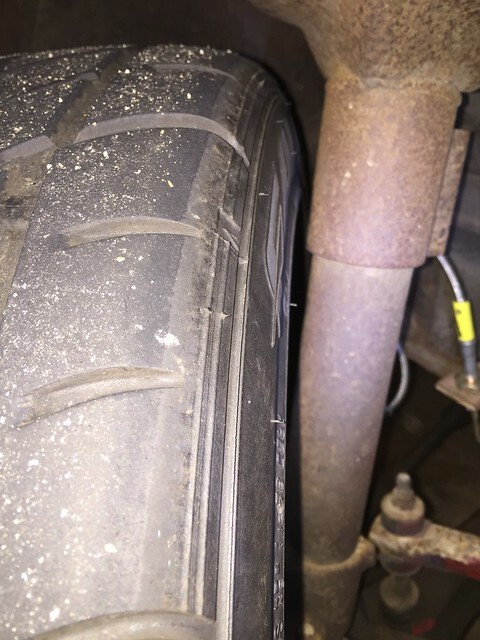 I'm not interested in running flares and I'd like to avoid any positioning that is going to cause extreme uneven tire wear. Re: 15x6.5 +15 or 15x7 0 offset? It is going to depend on tire size also. The 15x6.5 +15 give you the option to use spacers to get the wheel in the optimum position. It will probably be a bit of a tight fit in the back though. I have equivalent to +23 on 15x7 wheels with 205/50 tires and it is pretty tight to the fender. In the front I have equivalent to +4 and I just clear the strut and fender....just....I have lot of camber and adjustable lower control arms also. What is the optimum position? Just trying to figure out what kind of offset I should be targeting if I'm looking at a 15x6.5 wheel. 15x7 zero doesn't work in the rear unless you want a zillion degrees of camber, I had some for a bit. I have 15x7 +12 and I wish they were +25 so I could run less camber. I got ride of the inner fender step (since you have a 4 door its much more difficult to remove the step) and I have to run 4 degrees of camber with the +12 wheels in the rear. That being said +25's wouldn't work on a zx strut. It looked rad with the 15x7 zero's!!! icehouse wrote: 15x7 zero doesn't work in the rear unless you want a zillion degrees of camber, I had some for a bit. I have 15x7 +12 and I wish they were +25 so I could run less camber. I got ride of the inner fender step (since you have a 4 door its much more difficult to remove the step) and I have to run 4 degrees of camber with the +12 wheels in the rear. That being said +25's wouldn't work on a zx strut. Icehouse So then what would you consider a good offset in a 15x7 wheel? Im running zx struts up front with Wildwood calipers and its hard as hell to get anything to fit with out it hitting the caliper on the backside of the wheel. Especially JDM wheels that are two or three piece. Those face bolts alway hit the caliper. I have Rotas on there now I believe +4 or +6. I was told and I don't know how true this is but I should be running a +22 offset your thoughts? +15 offset is the absolute minimum off set I will use. With good tyres I can still feel SRA steer on the road. One of the best handling 510s in Oz is using 15x6.5x33P with 195/50x15 R1Rs. He is using R31 struts, with R32 GTST callipers. The R31 strut is the same as the 200SX S12. only difference in the S12 strut is 15mm taller in the tube. 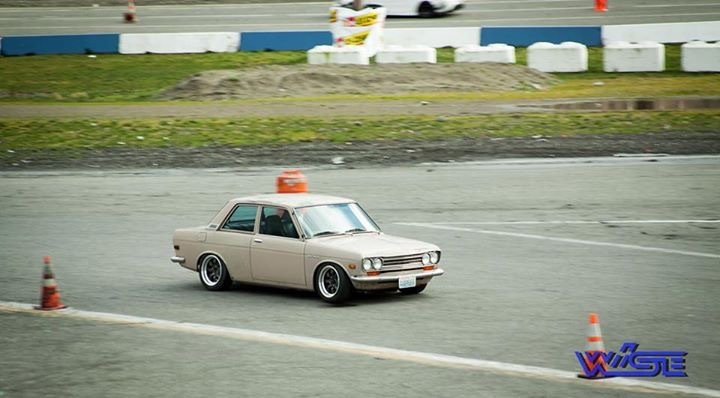 +25 on a 510 is the better offset for most other struts if you want your 510 to steer with out the SRA problems. Zero offset is terrible for steering. Then again I prefer handling & good steering over Looks. Thanks for the input Baz. Sorry not trying to thread jack here from the OP. Baz wrote: +15 offset is the absolute minimum off set I will use. With good tyres I can still feel SRA steer on the road. One of the best handling 510s in Oz is using 15x6.5x33P with 195/50x15 R1Rs. He is using R31 struts, with R32 GTST callipers. The R31 strut is the same as the 200SX S12. only difference in the S12 strut is 15mm taller in the tube. 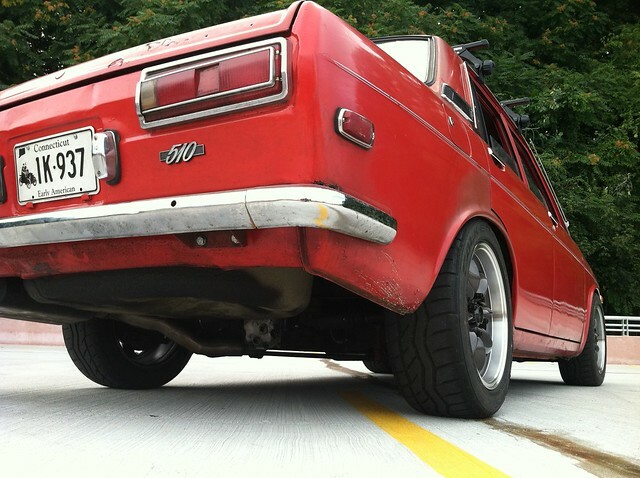 +25 on a 510 is the better offset for most other struts if you want your 510 to steer with out the SRA problems. So it would seem by the feedback here that 15x6.5 +25 is ideal, at what point is the offset too much? Just trying to gain an understanding of what range I should be looking at. I here you @B^2.. Up top Icehouse says that +25 wouldn't work for 280zx struts. So I'm still wondering what does? Being thats what I have on the car and your looking to upgrade too. I wonder if switching to 280zx calipers up front would help with the wheel fitment issues I'm having running Wilwoods? Still need the offset though. Eastbay, you just want the wheel as close to the strut as possible. That will give you the best scrub radius possible with whatever strut you have. The setup Baz uses is based off the S12 steering arm design which offsets the ball joint in the steering arm to make the scrub radius better by technically increasing the kingpin angle with out effecting the strut angle. Seems like you could do this with an offset bump steer spacer. Might run into some clearance issues. I can't remember which offset you want with zx struts and 15x7's wheels. Thanks for the reply Icehouse. Im gonna do some more research and read through a bunch of threads I found on here. I think he was saying that +25 wouldn't work on a 15x7 wheel, I was wondering if it would work on a 15x6.5 wheel. I'm on 16x8+30 all around. I'm based on S12 struts up front as well. I space out the rears so the rears actually could be 16x8+15 or 16x8+20. Tire size is square 215 40 16. I run as short a coilover sleeve as possible so the front tire can tuck super close to the strut tube. Shortened 510 struts - now with T3 coil-over sleeves and Camber plates - Required 10mm spacer and longer studs to clear the strut housing (esentially making the wheel a +15), limited with how low I can drop the spring perch on the coilover before it interferes with the tire. Had to roll the inside of the fenders. Rear end is lowered on a set of cut ebaich springs with a slotted x-member. Don't remember the alignment specs. Clears the fender lip on my 4 door, and barely clears the arms, cannont run a clamp on weight on the inside of the wheel. Struts clearance on the old set up - 15x7 +25 wheel with a 10mm spacer on 510 struts. "205/50-15 works well on a 7" rim. Go with a +18 offset and use a spacer up front to keep the tire off the 280ZX strut tube. With the same offset wheels you can rotate them front to rear for longer wear."